The city has retained a law firm to take on drug companies that it alleges are responsible for the raging drug epidemic in the streets of Paterson, announced mayor Jose “Joey” Torres on Friday afternoon. Connecticut-based Scott & Scott has been retained to represent the city in litigation against pharmaceutical manufacturer and distributors. Domenick Stampone, the city’s chief attorney, said the firm will only charge Paterson taxpayers if it is successful in litigation. The heroin epidemic has hit Paterson hard. 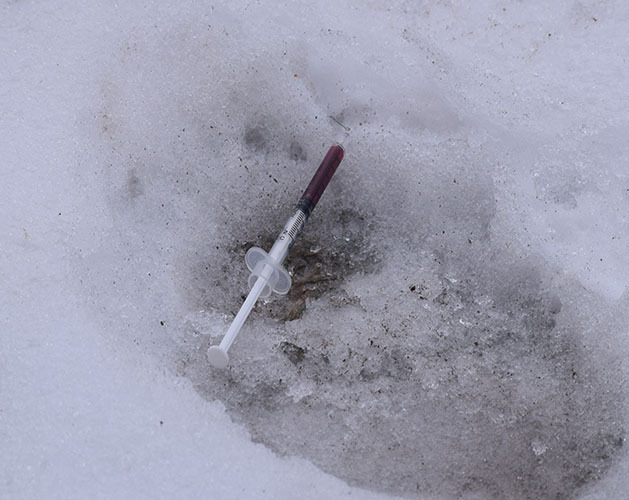 The city has been described as the regional hub for cheap heroin that attracts buyers from throughout the Northeast. Police and firefighters have had to deal with large number of calls for service involving drug overdose and crime that is tied to the drug trade. Paterson is seeking to recoup the “crippling cost that opioid addiction has caused the local government.” It has strained the city’s social and human services budget. It has had to substantially increase the budget of its police, fire, and other first responders. Police officers, firefighters, and EMTs in the city have been trained in the use of Narcan to counter overdoses. The city joined dozens of government entities suing drug companies for marketing painkillers by greatly downplaying risk of addiction while overstating treatment benefits. Scott & Scott is a nationally-recognized law firm that has recovered billions for its clients through lawsuits. The firm has enlisted the help of Saddle Brook-based Goldsmith & Goldsmith which was part of a team that represented New Jersey in the 1998 tobacco litigation.